Two years in the making, the popular front-end framework is taking some key steps forward. For starters, it’s switched from Less to Sass and is now Flexbox based. David Gilbertson makes a plea that “if you’re making a site, and you’re just about to go searching for that perfect web font, please, at least consider using system fonts instead”. A high frame rate often equals a high level of responsiveness and user satisfaction, but what’s involved in getting high frame rates for Web pages? 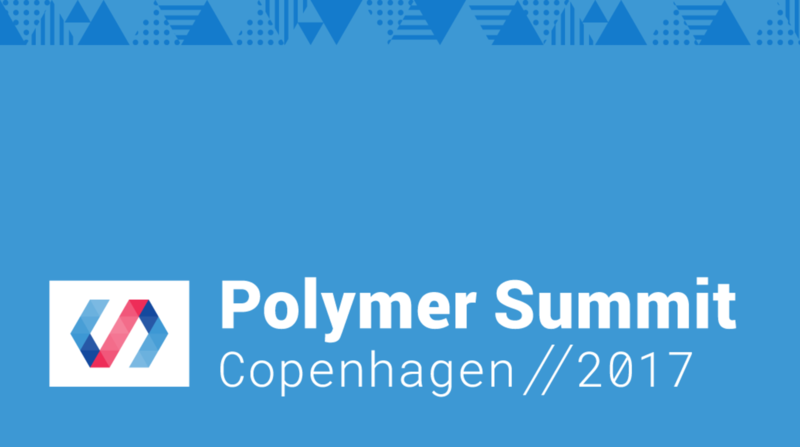 The Polymer Summit will be taking place in Copenhagen, Denmark on 22-23 August! Attend talks and workshops with Polymer & Google engineers! If you can't attend in person, you can watch the livestream on the event site. Page size matters, but Tammy Everts outlines how it’s perhaps not in the way you think. A complete walkthrough of bringing together browsers’ speech recognition support with Node and a third party natural language processing service. A lot of new features in this test release, including 8- and 4-digit hex color support in CSS, the Smooth Scroll API, and the Device RAM API. Grids are flexible enough to adapt to their items, so just how explicit do you have to be? How you can lazy load images without tapping the scroll event. Providing a great offline experience in your PWA. A beginner-friendly glossary of terms relating to web fonts. In-depth but relatively beginner level. A great slidedeck exploring the possibilities of what SVG can achieve. A hard look at how the browse experience translates in the digital space. Convert your image files into the more efficient WebP format.